We have developed two independent methods to study structural transitions and reactions by time-resolved NMR spectroscopy with millisecond dead-time. Therefore, on one hand, we use a rapid mixing system inside the active volume in the probe, which we developed in cooperation with BRUKER. In addition, we have developed a method to laser-trigger cofactor dependent reactions inside the NMR tube which we established. 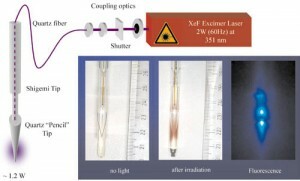 These studies are supported by a wide variety of other spectroscopic techniques including stopped-flow fluorescence, CD, FTIR and EPR to gain further insight in structural characteristics during the folding process. At the moment we are focusing on the structural characterization of transient intermediates in protein folding. We are studying the kinetics of the natural structural changes of alpha-lactalbumine and calmoduline upon ion addition in cellular conditions, the binding kinetics of calmoduline to the calcium-pump receptor peptides and the refolding from denaturating reagents of calmodulin, alpha-lactalbumine, lysozyme and ubiquitin.